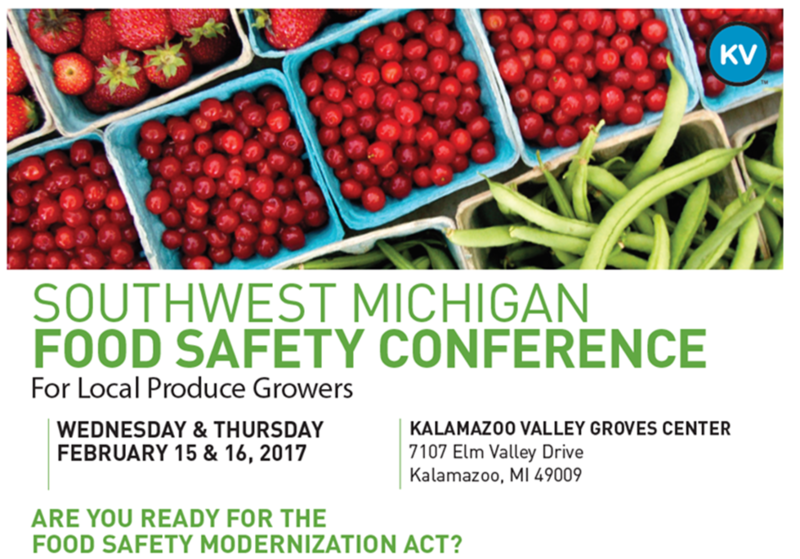 Michigan Farm To School - Blog: Registration Deadline Approaching for Kalamazoo Farm Food Safety Event! 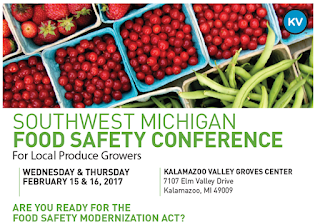 Registration Deadline Approaching for Kalamazoo Farm Food Safety Event! Are you ready for the Food Safety Modernization Act? Have you been putting off writing your farm food safety plan, or could yours use a refresher? Are you curious about GroupGAP certification? The conference is FREE but registration required by February 10. Don’t delay, register today!! MSU Extension programs and materials are open to all without regard to race, color, national origin, gender, gender identity, religion, age, height, weight, disability, political beliefs, sexual orientation, marital status, family status, or veteran status.